"There are tears coming, but they're coming to set you free. Don't fight them; don't reject them and most certainly don't dismiss them. For they are coming to cleanse and to renew. What once was very painful in your life is going to be healed through the tears you will shed. I created tears and they serve a very deep purpose. Precious one, don't be ashamed of the tears you are going to shed; they are coming to help wash away the grief and the pain you carry; they are coming to help bring a refreshing to your heart and soul, and yes, even to your physical body. The time for extensive healing is upon you. Let the tears fall and let them express what you could never fully convey with your words. For I AM sending tears in this time as a great release. There is a hope and a future I have for you, but you must allow these tears to speak. Tears are holy; they are most holy indeed. So let them come and have their say. And rejoice that your time for breaking open and breaking through is here. And take comfort in knowing you do not cry alone; for your Beloved cries with you. Jesus is near to you and your broken heart. He knows your whole story. He knows the depth of your hurt. He knows the harm that was done. He knows the scars you carry. And He has come that you might have newness of life. He not only wants to rejoice with you in what is good and joyful and beautiful; He wants to weep with you in what is bad and sorrowful and ugly. Embrace the tears, beloved son. Embrace the tears, beloved daughter. And as you walk through these next months; know this is a time designated by Heaven for the cleansing and mending of what ails you in the deep places. 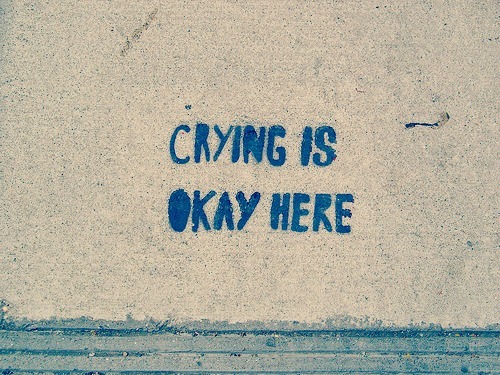 Yes, your tears are going to help bring the healing you are longing for. They are coming for your highest good."